When I first started at the middle school, I noticed that some students had their lockers decorated by friends for their birthdays and many others did not. 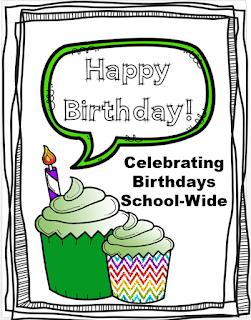 Students would sometimes come to me saying they were disappointed that their friends didn't decorate their locker for their birthday. I wanted to make sure that all students were recognized in this very small way, so I decided to decorate lockers for every student. 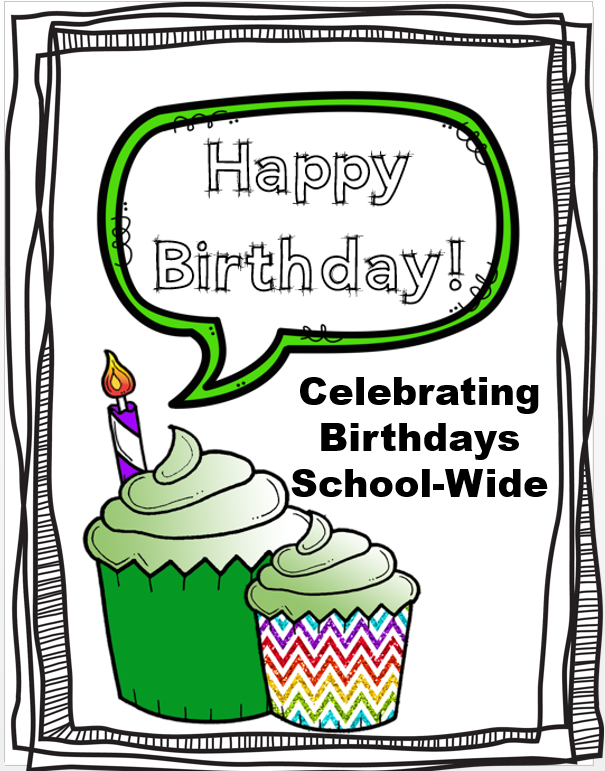 On the first of every month, I hang a poster on every student's locker who is celebrating a birthday during that month. Since doing so, elaborate locker decorations by students for their friends has stopped. Students still celebrate each other's birthdays, but not in a show off fashion that decorating the lockers had done. Each month the poster I hang is different, but it is the same for all students during that month. I download an excel spreadsheet from our school information system of students' names and birthdays. I then merge this information into my poster and then hang on each student's locker. I have about 350 students on my caseload, and this is a very easy and manageable "job." Typically it takes me about 20 minutes to hang the signs each month, so it really isn't a lot of extra time to do something special for my students. Really, the hardest part is making a unique poster for each month. If you would like a copy of your own to use at school, go to my TpT Store here. What about summer birthdays, any way to recognize them? Maybe recognize August birthdays as belated birthdays during the first week of school and July birthdays as Coming Soon Birthdays during the last week of school. Just a thought. You could do their half birthday or I do summer birthdays with the June birthdays. I love this idea and immediately purchased the birthday posters. I would like to do this during our current school year for our students. However, my school year started at the beginning of August and I have missed their birthdays. Any ideas on how to handle that with my August kids? I guess I could recognize both August and September starting tomorrow. The first year I started I had missed our September birthdays. I just called all the kids down and gave them a belated birthday sign. I did ask them if they would like to hang it on their locker and most did. Just be honest and say you 're sorry you didn't have the idea earlier but still wanted to acknowledge them. Very nice idea,thank you for sharing it with the users of best research paper writing service reviews. Next month we will have a birthday girl at our office, so I think, we will implement your idea with posters.